…Not that things haven’t been happening, rather that too much has been happening for me to keep up on the blogging. Scholastic season is almost done, the club chess championship ended Monday night (won’t even discuss my performance… but you can check out those results and more http://tccc.laughingvulcan.org/ ), and I’m darn near exhausted. A little rest in the next couple of weeks and I’ll be back to my bouncing-off-the-walls stuff. 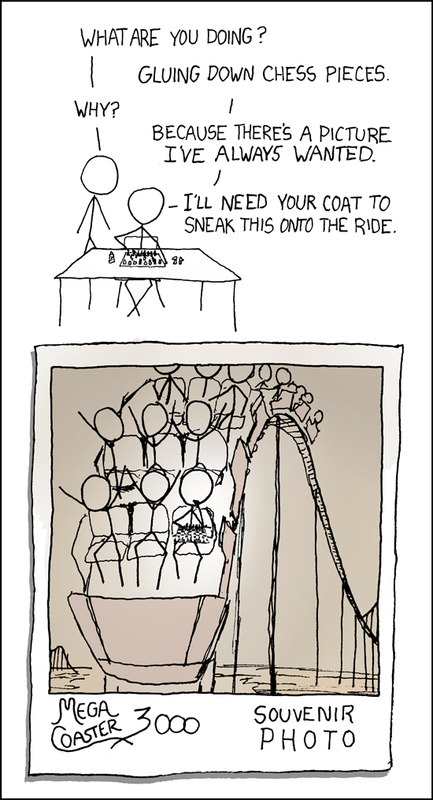 In the meantime, I invite you to check out the following from xkcd. It’s a webcomic that does not focus specifically on chess (though this is the second chess-themed comic I’ve seen from them, and it’s one of my personal favorite comics, bar-none.) Until next time, Enjoy your Chess! This entry was posted on Wednesday, March 2nd, 2011 at 5:25 pm and is filed under Uncategorized. You can follow any responses to this entry through the RSS 2.0 feed. Both comments and pings are currently closed. Entries (RSS) and Comments (RSS). 26 queries. 0.432 seconds.